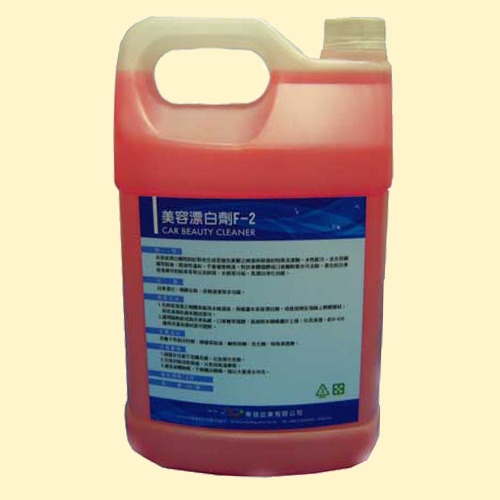 this cosmetic bleaching agent especially for aging paint fading or yellowing of the research and development of special detergent. Waterborne formulations with natural lemon extract, liquid moderate will not damage the paint. For car-body attachment may also remove residual glue or gum. Yellow or white car inventory of new cars, and so on, as well as rust, water marks, dirt, with bleached purification function. bleached white car, residual glue removal, clean leather chairs and other multi-functional. 1. water spray to clean surfaces after wet, then spray this beauty bleach or gently wipe down directly on the sponge, and then with a clean damp cloth. 2. insulating paper or cable car stickers, such as chewing gum residue, sprayed directly above, their penetration, approximately 3-5 minutes and then wipe with a damp cloth desorption. non-ionic surfactants, lemon extract, and alkaline additives, emulsifiers, special penetrating agent.